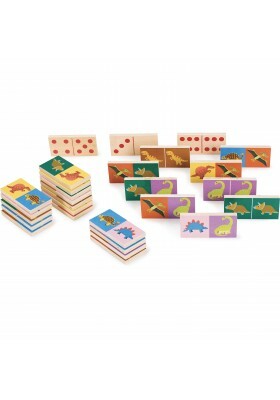 Set of reversible wooden dominoes with a classic domino side and a dinosaur side. 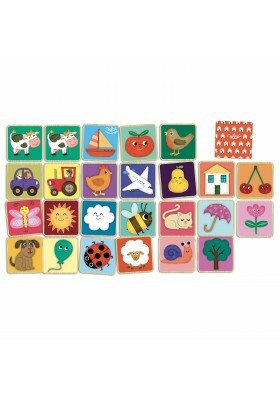 Yam's game whose goal is to make combinations that follow on with the five dice to win the most points! 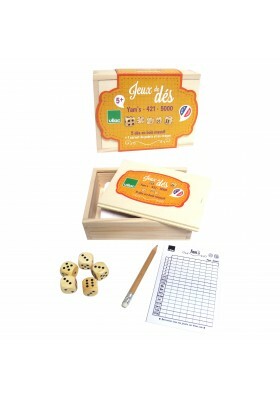 This wooden box contains five wooden dice, score sheets, a pencil and rule book in several languages. Made in France. 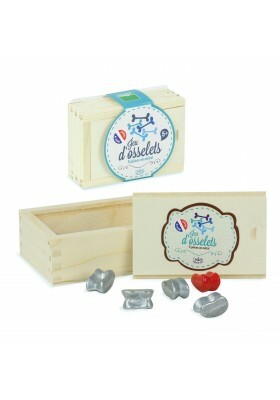 Set of five metal jacks in a wooden box, accompanied by a rule book in several languages. Made in France. 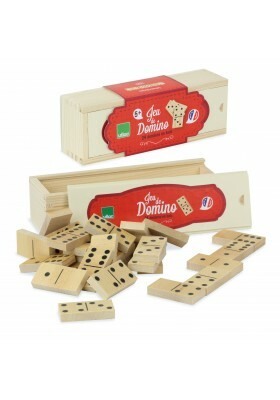 Set of twenty-four classic wooden dominoes, the goal is to be the first to get rid of all your dominoes! 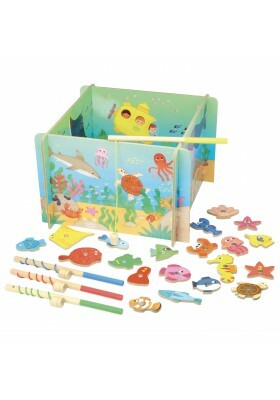 Rule book in several languages included. Made in France. Shout Bingo! 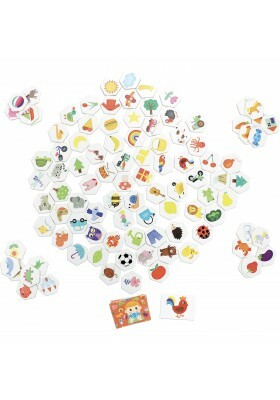 Bingo game with seventy-six markers and a rule book in several languages. 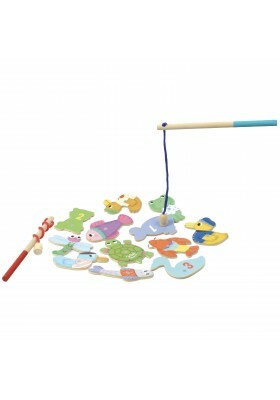 A game of chance, for great fun with family or friends. Made in France. The first to reconstruct the whole image wins! 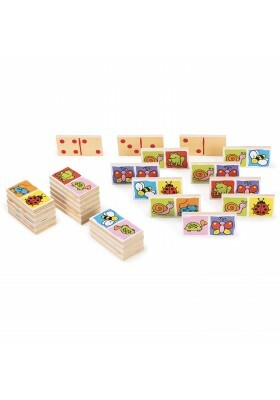 Game with more than one hundred cards and four levels of difficulty. 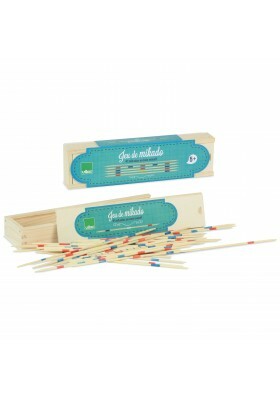 Mikado Pick-up Sticks game in wood, the aim is to pick up sticks without moving others. 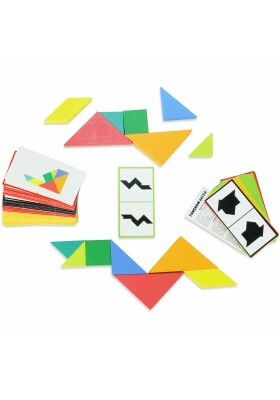 Rule book in several languages included. Made in France. 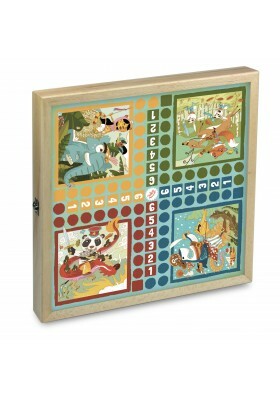 An attractive wooden box including: a game of Draughts, Ludo, Goose Game and a deck of cards. Made in France. Game of observation and speed: you must be the first to find the drawing on the chosen card. Beware of trick cards! 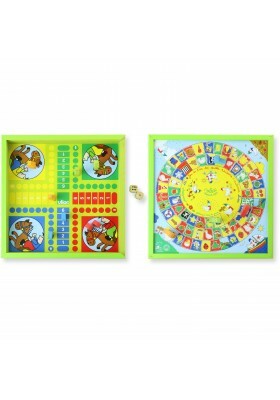 Dada oie" game (in French)"
Two traditional board games in one: Ludo on one side and Goose Game on the other. Made in France.